will be happy to help you save with Premier Marine Insurance! Established in 1989, Premier Group of Companies specializes in a number of insurance products, including Professional, Commercial, Environmental, Personal Lines, and Marine Insurance Products. They currently administer over 80,000 policies and offer products that are developed in-house and unique to Premier. They currently have over 100 employees across 5 locations and are currently expanding into Quebec. The company also offers services in the United States. Premier Marine Insurance Managers Group (WEST) Inc.: Specialty personal lines insurance products. They are also Canada’s largest provider of boat insurance. Premier Canada Assurance Managers Ltd.: Specializes in commercial insurance, including: Construction, Environmental, Professional Liability, and Specialist Casualty. Oceanic Underwriters Ltd.: Offers commercial marine insurance, and insurance for amateur sports and adventure tourism risks. In April 2015, The Co-Operators Group Limited announced they acquired Premier Group of Companies. 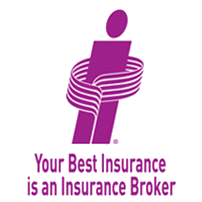 What Are The Advantages Of Getting Insurance With Premier Group? Specialty Insurance Products: As the company’s tag line says, “think Premier… for all your specialty needs.” Premier offers a diverse collection of niche personal and business insurance solutions. Niche Business Insurance: Whether you require professional liability insurance coverage, operate a unique business, or need standard commercial property insurance, Premier Group has the business insurance coverage you need. Specialized Marine Insurance: Premier Group offers specialized insurance coverage for businesses in the marine industry, and for businesses and people who own a variety of boats and watercrafts. Exceptional Claims Services: Premier Group provides timely and effective claims services for all their niche personal and business insurance products. Get a quote for any of these specialized personal insurance lines through ThinkInsure today! Professional Liability: Get liability insurance for marketers, accountants, mortgage brokers, insurance brokers and agents, and many other professionals. Environmental Liability: Get coverage for recyclers, storage tank owners, pollution coverage, and more. Construction Risks: Coverage for builder’s risk, contractor liability, welders, roofers, and vacant property. Speciality Commercial Lines: Speciality commercial insurance coverage for contractors’ equipment, fitness facilities, health and beauty, events, hobby clubs, and more. General Commercial Property: Insurance coverage for commercial properties. Marine – Commercial: Marine insurance for marinas and boat dealers, yacht clubs, boat builders, commercial hull, and more. Marine – Pleasurecraft: Boat insurance coverage for small boats, jet boats, sailboats, high performance boats, yachts, and more. Need an insurance quote? Have niche personal or business insurance coverage needs? A ThinkInsure broker is happy to answer your questions. Contact us today – 1-855-550-5515.